Viscosupplementation refers to the injection of a hyaluronan preparation into the joint. Hyaluronan is a natural substance present in the joint fluid that assists in lubrication. It allows smooth movement of the cartilage covered articulating surfaces of the joint. Synvisc is one of the most commonly used hyaluronan preparations. It is indicated in the management of shoulder, knee, hip or ankle osteoarthritis that has not responded to non-surgical treatment options such as pain medications, physical therapy and corticosteroid injections. Synvisc provides symptomatic relief and delays the need for surgery. It is injected directly into the joint to replenish the diminished synovial fluid, thereby enhancing its lubricating properties. A single dose or a total of three separate doses of Synvisc, over several weeks, may be required for optimum benefit. Some patients may experience mild pain, swelling, warmth and redness at the injection site for up to 48 hours following a Synvisc injection. Headache and joint stiffness may also occur in some cases. Ice packs and an analgesic may be used, if required, to ease the discomfort. Any strenuous activity such as jogging or tennis should be completely avoided for 48 hours to a week after the injection and should be resumed only after consultation with your doctor. 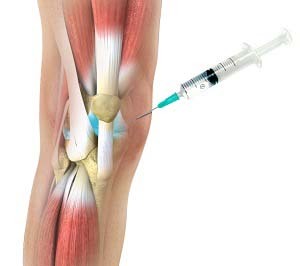 Synvisc injection not only supplements the hyaluronan in the joint but also stimulates the production of hyaluronan in the treated knee. This provides gradual symptomatic relief over the course of the injections. This effect may last for several months. Please note: Immediately consult your doctor if you develop fever or the pain and swelling fail to resolve after 48 hours following the injection.